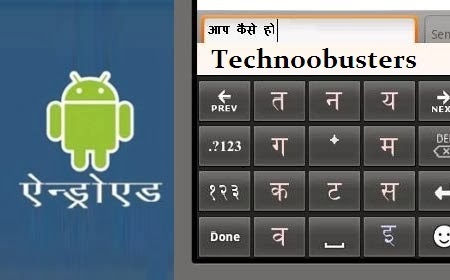 Till now you might be missing Indian languages for Android device though you can find hindi, gujarati font for android as well as other indian languages for android in computer. Now a days , Indian laptops and computers come with indian languages pre-installed which you can use directly in the word or other text editor but that kind of thing is far from sight in Android devices as still Android manufacturers haven’t started yet supplying Indian fonts pre-installed in the Android devices but you can now install those fonts manually. Remember that, now nexus devices do come with indian fonts so nexus users don’t need to worry about taking pain to install indian fonts but nexus devices needs to be updated with Android lollipop to get the joy of texting their friends using indian languages. So below I will be mentioning several easy to use methods to install gujarati as well as other indian fonts. I have manually tested this method in Motorola devices but this also works with samsung, sony, lg as well as other Android devices. Most important requirement to install indian font in android phone is that your android device should be rooted. If you haven’t rooted your device then you can follow our tutorial – “Root any android device easily” or can take help of xda to root their device. > Your Android Device must be rooted. As said above, download the font package of your choice from the above given link and extract the .ttf file from the rar file. Place the extracted .ttf in your SD Card of your device. Click Root explorer option and click on Mount R/W and change the /system option to RW. Select overwrite if you are asked. Thats it!!! You finally did. So this was the first method to install indian fonts but sometimes you may have problem in using this method or you may think its confusing so we introduced another method below. This is kind of easy method with less steps. But this method is kind of risky because it may bring your device in bootloop though that rarely happens. > Restart your Android device and boot it in recovery mode by pressing and holding power button and volume down button while it restarts. > In your recovery menu, Click on Install .zip option and browse and select the file you placed in SD Card. > Choose Yes and it will install the font package. So this were the two methods to install fonts but in some devices this comes pre-installed so those don’t need to worry about installing. Comment below or contact us if you have any doubts or problem. Then we need to find another way to root your device. hi its interesting but i think your downloading link is not working.please update it. If your phone does not support gujarati no need to make root device, or install any gujarati font. Just Install Easy Gujarati View(EGV) App from below link. Just copy gujarati text which you want to read. you can read gujarati at same screen. How to add Gujarati font in Moto G st generation. Pls guide me. I have gone through ES File Explorer but root is blocked. How can it be possible to unblock and add Gujarati font. You need to root your mobile for getting root access. I am trying the same process for Odia font in my HP 7 Voice Tab (Rooted) . But not being successful. Android version 4.4.2 . I was successful in my Xperia C3 Dual Android 5.5.1 . kindly look into the matter. i have roooted and flashed the fonts in my nubia zte z9 mini.yet i cant read gujarati.is there any other method ? Thanks for your invaluable feedback. Yarr ! Sab ho gya fir bhi nhi dikhta Gujarati !! Kya karu ab ?? Which mobile you are using? In xperia S root explorer is not opening. what i do? My mobile(lenovo a2010) is not rooted , so how to suport gujarati font , any solution?? Have you done to find your tech team.